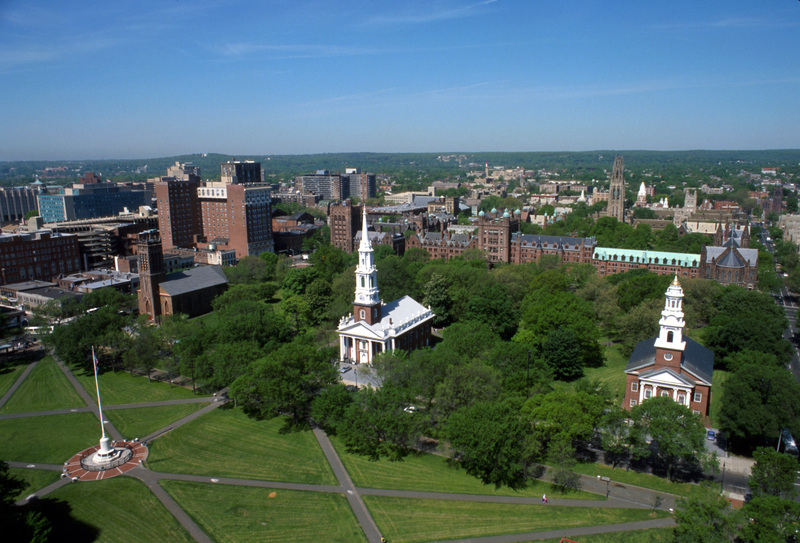 Located in New Haven, Connecticut, just 1.5 hours from New York City and 3 hours from Boston, Yale Law School welcomes visitors, especially prospective students. You will find the Law School in the Sterling Law Building on the 410-acre Yale campus, with its impressive neo-gothic architecture, extensive athletic and recreational facilities, and 26 libraries. When you arrive on campus, please register in the Admissions Office, located in Suite 175 in Ruttenberg Hall. The office is open on weekdays from 9:00am-4:30pm. Please note that the Law School is closed in observance of Thanksgiving and the winter holidays. The Law School remains open during Fall Break, Fall Examination Period, and Spring Recess. Downtown New Haven is also a short walkable block away, and offers restaurants, shops, bookstores, and a lively night life. To learn more about the city, visit Living in New Haven. Current students offer guided tours of the Law School on Mondays, Thursday, and Fridays at 1:00pm during the academic year. Please email the Admissions Office to register for a guided tour. Explore Yale Law School with our self-guided tour. Take a guided tour of the University’s picturesque campus. Meet with a JD Admissions team member (by appointment). Ask your specific questions about our application process and YLS. These appointments are neither required nor evaluative. Information about visiting the Law School by car, air, or rail, including maps. Prospective students may be able to sit in on non-clinical classes in the Sterling Law Building. Please check in with the Admissions Office prior to observing a class and check out our course schedule for this semester. Learn more about all of the events happening at the Law School during your visit. If you have any questions, please contact the JD Admissions Team. Yale Law School is at the heart of the city of New Haven—a lively, small urban center between New York City and Boston. The New Haven Green is the heart of downtown, and home to free cultural events like the International Festival of Arts and Ideas, Music on the Green, and the New Haven Jazz Festival. The Law School is part of downtown New Haven, close to bookstores, boutiques, art galleries, restaurants, and entertainment. 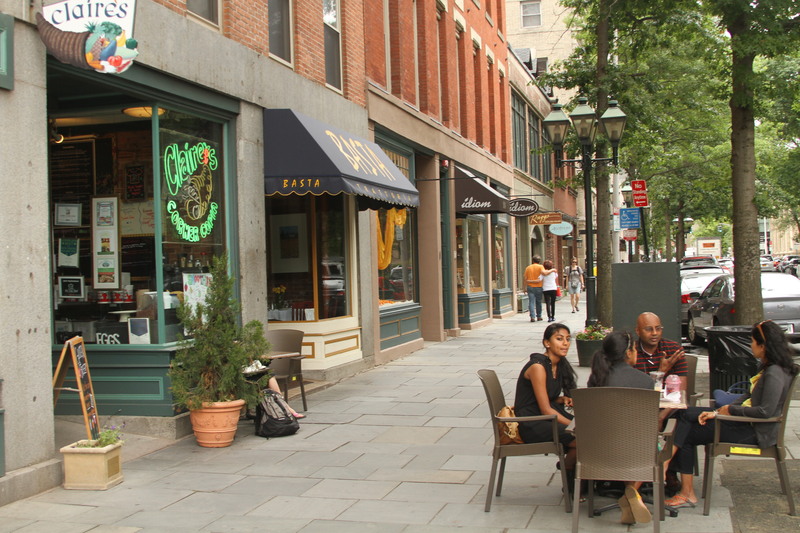 Chapel Street in downtown New Haven has a wide variety of restaurants and shops. The seasonal, weekly farmer’s market is a great place to buy fresh, local produce. The shops on Broadway, around the corner from the Law School, cover all of the essentials from books, to clothes, to coffee. New Haven is home to several museums and a vibrant arts community, all within the greater downtown area. Ask a group of locals which pizza they like better, Sally’s or Pepe’s, and you’ll witness a debate as fierce as any Red Sox vs. Yankees discussion. Modern Apizza on State Street is not in New Haven’s Little Italy district, but is often named in the same breath as the originators of New Haven-style pizza: Pepe’s and Sally’s.